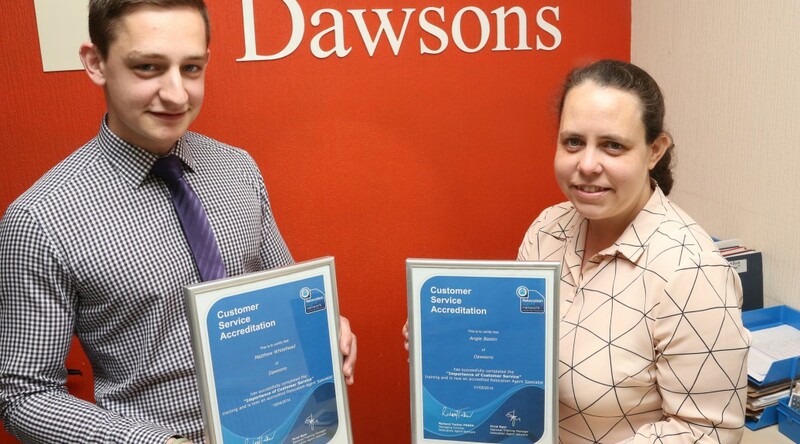 Angie Bastin and Matthew Whitehead from Dawsons Estates Agents’ Llanelli branch are the first property experts in Wales to become accredited Relocation Agent Specialists. Awarded by Relocation Agent Network, the prestigious title is the result of comprehensive online training on the importance of customer service in today’s property market. The programme, aptly named ‘The Importance of Service’, consists of three phrases of learning. This theoretical knowledge must then be converted into a practical skill set by delivering assistance to three relocating customers, which both Angie and Matthew passed with flying colours. 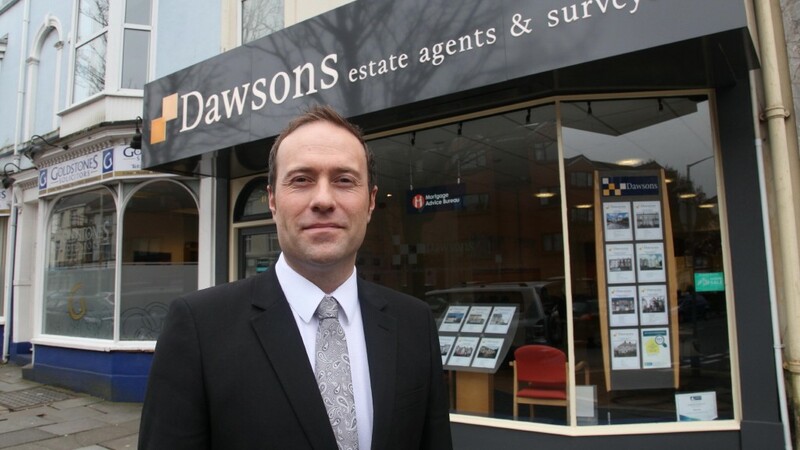 Dawsons is currently celebrating 20 years of relocating homeowners to and from South Wales as a member of the national network of independent estate agents. The Relocation Agent Network introduced the training programme to ensure each of their members provides the highest customer service to those relocating around the UK. 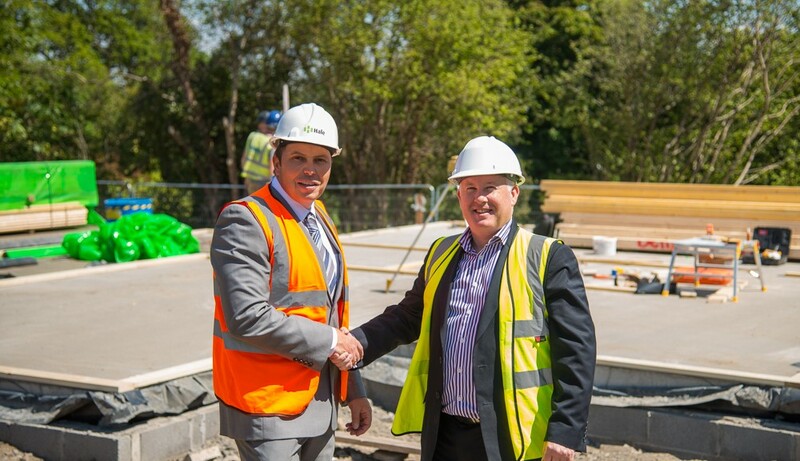 Luxury house-builder Hale Homes is about to release their prestigious Bethany Lane development, close to the village of Mumbles. Currently under construction, the project will comprise of a selection of just ten, individual, detached homes, offering purchasers an opportunity to acquire a newly built, energy efficient property in this highly sought after location. A choice of four or five bedroom properties are available, all of which are designed for modern family living with features such as open plan rooms opening onto the garden. Leading estate agent Dawsons has been appointed as Sole Agent and the development has already attracted a flurry of interest from waiting buyers. “We are delighted to be chosen as Preferred Agent by Hale Homes and look forward to offering these beautifully designed homes, which are so ideally located, to the wider property market,” said Tim Kostromin, Partner at Dawsons. Hale Homes has already headed a number of luxury developments throughout South Wales and is famed for using materials from high quality, local and sustainable sources. Previous projects have boasted internal finishes such as oak flooring and doors throughout, and features such as granite worktops and fully integrated appliances in their kitchens. This latest project is set to follow a similar suit and prospective buyers can look forward to homes built to the highest standard. For further information please call Dawsons dedicated Land and New Homes department on 01792 653100 or email newhomes@dawsonsproperty.co.uk. Alternatively, please visit http://www.dawsonsproperty.co.uk/land-new-homes.php. You can also contact Ruth Jones at Hale Construction on 01792 462877 or Ruth.Jones@haleconstruction.co.uk for further details about the Bethany Lane development and Hale Homes’ upcoming projects. With lenders steadily lifting the rates on new home loans, it is looking progressively more likely that the record mortgage rates that we have witnessed over the past two years are swiftly becoming a thing of the past. The UK’s leading independent mortgage broker, Mortgage Advice Bureau, reveals why now may be the time to fix. Whilst the 0.09 per cent increase on a two-year fixed-rate mortgage in April may seem moderately small, it is still evidence of the fastest increase in mortgage rates in a single month since February 2012, according to data released by Moneyfacts.co.uk. Statistics also showed that the average two-year fixed rate increased on 14 of the 20 business days in April, with the five-year fixed rates quickly following suit. “If you applied for a two-year fixed mortgage on the 1st April, you would have been offered an average rate of 3.52 per cent. If you went to apply for the same mortgage at the end of April however, that rate would have increased to 3.61 per cent,” said Oliver Adair from Mortgage Advice Bureau. As a result of rapidly rising house prices and a strong rebound within the economy, mortgage rates are slowly being increased from their record lows, with the anticipation that the Bank of England (BoE) may put the Base Rate up to relieve pressure on the market. Economy experts however are still undecided on when this change will happen, with some predicting a Base Rate increase in 2015. The speculation has led to increased volatility in the money market swap rates, the cost of funding that directly affects fixed rate mortgages. The Mortgage Market Review (MMR), introduced at the end of April, now means that all borrowers looking to take out a mortgage have to go through more thorough checks to ensure that they can afford repayments if an interest rate rise were to occur. Whilst two-year fixed rate mortgages have proved more favourable for borrowers reluctant to take the risk of taking out a tracker mortgage. “As those fixed deals come to an end and with many lenders offering a cheaper alternative with their own variable rates, many borrowers have moved over to a standard variable rate mortgage. A change in the Base Rate is not the only factor affecting the cost of your mortgage, and with economists still debating on when it will increase, seeking help from a professional mortgage broker is an essential step to securing the right deal,” concluded Oliver. Dawsons is celebrating 20 years of national connections this year. 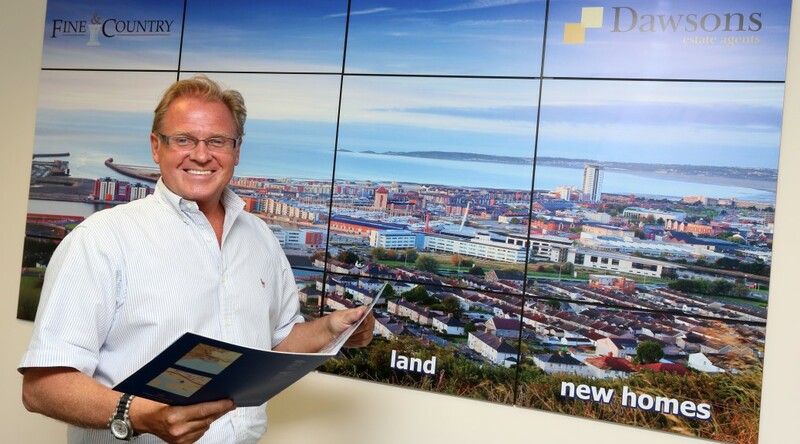 As a founding member of Relocation Agent Network, a national network of independent estate agents across England, Scotland and Wales, the Swansea-based estate agent has helped relocate over 110,000 people during the last decade alone. The brainchild of Cartus, the premier provider of relocation services, Relocation Agent Network aimed to create a UK network of ‘Local Experts’ that would guide relocating employees and their families through the home buying and selling process. Today, that ‘Local Expert’ ethos still remains, as just one estate agent in any given area is invited to join, with Dawsons being Swansea’s selected agent for the last 20 years. “We’re delighted to be celebrating 20 years as Swansea’s appointed Local Expert. As a member of the Network, we have access to potential out of town buyers moving into the area, providing an additional channel of buyers to our home selling customers. As a founding member of Relocation Agent Network, we have the local expertise and national connections to help you move into and out of the area.” said Christopher Hope, senior partner at Dawsons. Utilising a unique ‘Referral Network’, Relocation Agent Network has helped to relocate customers throughout the UK. As part of this service, Dawsons and other Network members provide relocating customers with local area information guides, including local property prices, transport links and even data on school catchment areas. Since it was founded in 1994, Relocation Agent Network has helped sell more than £1.2 billion worth of properties. With the help of generous members like Dawsons, the Network has also raised over £51,500 for charitable causes such as NSPCC, ChildLine, Help for Heroes and Make-A-Wish Foundation.